Here are 7 ways to enhance your battery’s immediate and long-term performance with a Windows 8 or 8.1 laptop. 1. Let the battery drain and recharge as fully as possible. 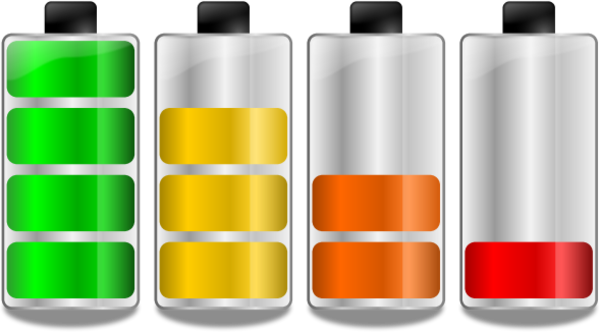 Your battery will last longer if it runs most of the way down before being charged up. 2. Switch to Power Saver Mode. Instructions for Windows 8 users can be found here. 3. Lower the brightness of the backlight. Backlights are a major drain on batteries, and can easily be adjusted with the function keys on most modern laptops. 4. Disable Wi-Fi and Bluetooth whenever possible. These adapters can be turned off by keyboard or from within Windows. Having them on only when they are in use conserves energy. 5. Avoid running intensive applications. Demanding programs that put a large amount of stress on your computer will increase its power consumption and drain the battery faster. 6. Unplug USB devices. Devices increase battery drain. It is best to only have external devices plugged in when you are using them. 7. Fully discharge and recharge the battery every few months. To do this you must disable the default critical battery settings in Windows 8. A step-by-step guide can be found here. After fully discharging the battery leave your laptop off and plug it back in, allowing the battery an uninterrupted recharge.